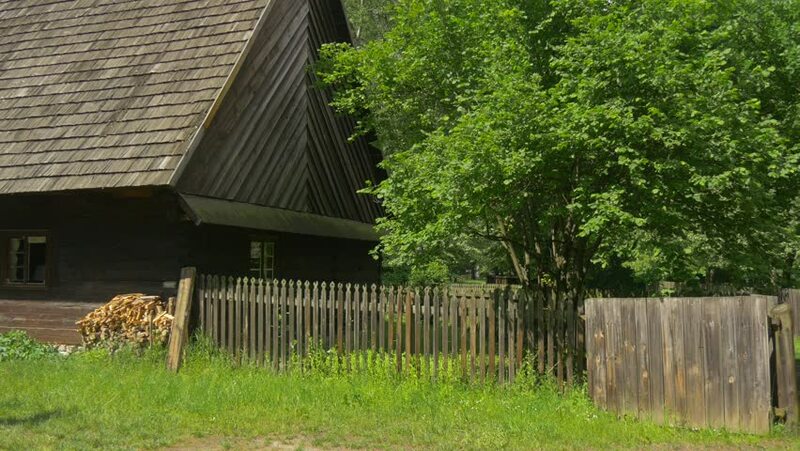 Shabby Fence With a Gate Near a Wooden Hut.old House With Low Windows in the Park Architecture. Narrow Lane in Summer Park. hd00:10The path to the house in the countryside on a summer evening. The road to the village.